Have you ever heard the saying, “Feed the soil, not the plants?” It’s a popular mantra within the organic gardening community, and it speaks volumes to the philosophy of building the soil food web that we mentioned in Part 1 of this series. In reality, a healthy organic substrate has everything it needs (with the exception of water) to give your plants what they require to provide abundance. However, by maintaining your soil with proper organic additives, you can drive production even further. 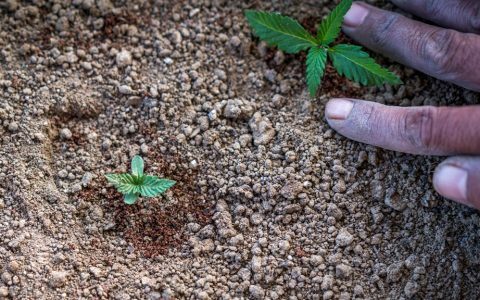 In Part 3 of our Super Soil series, we go over popular organic soil amendments, feeding regiments, and a few tips and tricks for maximizing abundant soil life that will help give your cannabis garden the extra boost it needs to provide you with the highest quality yields possible. Why Amend Your Super Soil Mix? You already have this super-charged soil, so why continue to amend it over time? 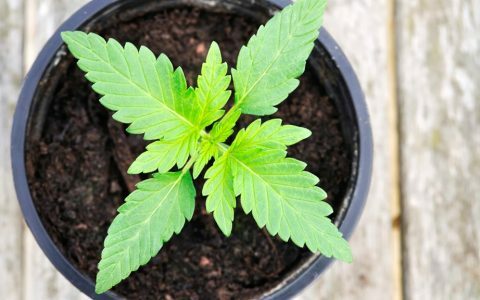 After all, it should feasibly have everything your cannabis plant would need for the continuation of its growth cycle, right? While this is technically, true, amending your soil will continue to replenish and fortify new life within, thus strengthening the ever-important soil food web. Subsequently, a healthy and more biodiverse soil food web will help maintain the proper ratios of nutrient availability for your plants, provide a stronger and more resilient defense mechanism for pests and diseases, and protect your root system from potentially inclement conditions. 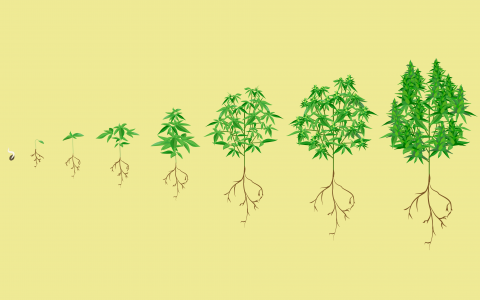 Maintaining and amending your soil is the single most important step that an organic cannabis cultivator can take in ensuring a flawless crop. Below are three proven methods you can use to amend your super soil. Simply put, mulching is the act of spreading organic material over the topsoil in your cannabis garden. Microbes are the lifeblood of a soil food web, and they love to feed on mulch. This process is amazingly multifaceted in benefiting your garden by providing anaerobic decomposition (which will provide food for the web), top cover protection from elements such as weeds and pests, and temperature control for the soil life to stay happy and thriving. Furthermore, mulching has an amazing ability to retain water within your soil, allowing you to water less during feeding schedules and to not worry as much about drought conditions. 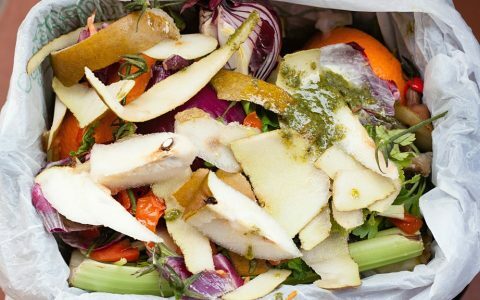 You can use just about any organic material for mulch, but a few that work exceptionally well are compost, straw, wood chips, or even processed harvested cannabis branches. Maintain between 1-5 inches of fresh mulch in your cannabis garden at all times. For container growers and bed growers, leave a few extra inches between the top soil and container edge for continual mulching. Try to add an inch of new compost every month or so for maintenance. 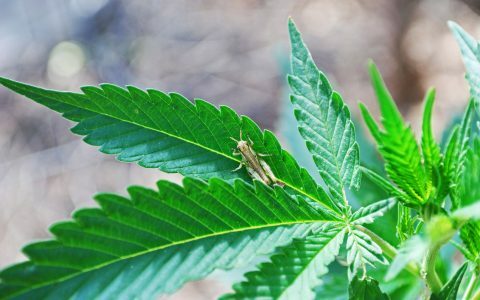 What do you do when your cannabis plants are feeling down and need an extra organic boost? Two words: compost teas! Simply put, a compost tea is a quick way to infuse new microbe food into your soil. Remember, we organic gardeners are in the business of feeding soils, not plants. A problem with a plant is often a problem with its soil. Our super soils have a busy job. Part of that job is to take raw materials and convert them or break them down to simpler ingredients that the plants will then consume though their root system. A compost tea is like an energy drink for your cannabis root system, providing nutrients for the plants and soil life combined. Making a compost tea is relatively simple, and Part 3 of our Super Soil series provides details on how to concoct your own special brew. Insofar as feeding regiments are concerned, there’s no simple answer. Many gardeners administer different compost tea recipes for each phase of the plant life cycle. Some choose to feed teas to their garden on a weekly basis. Compost teas are versatile in that they can be used as either a top feed and/or foliar spray. You can choose to brew a tea as a one-time use or incorporate them into your schedule. Either way you choose to administer your teas, your soil and plants will surely thank you for the hospitality. Fungi are crucial in maintaining beneficial symbiotic relationships between the soil life and root zone of your cannabis plants. This relationship is so important, and so taken for granted, that without a strong bond, your plants will not be able to uptake the nutrients they need to survive. So how do we gardeners help to facilitate this bond? One way is to inoculate root zones with mycorrhizae. These fungi are the relationship facilitators our plant roots desperately need to be able to feed themselves properly. Your soil can have a boatload of nutrients, but with no way to reach the root zone, they’re rendered useless. 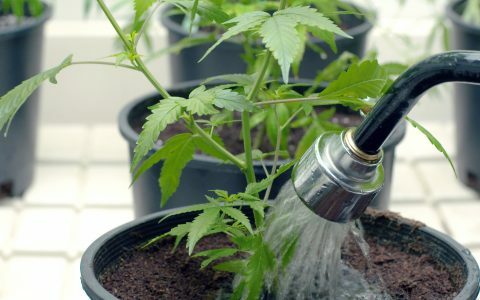 Furthermore, these microscopic masterminds also help protect the roots from harmful elements while at the same time providing safe passage of water through to the plants. Needless to say, inoculating your roots with mycorrhizae will do wonders for your soil food web and cannabis plants. Acquiring a mycorrhizal inoculant for your garden is as easy as heading to your local hydro shop or garden center. Nowadays, this stuff is ready available in many different forms (mostly powders). One way to administer your mycorrhizal inoculant is to do so upon transplanting. The only effective way to incorporate these into the soil is to administer them directly to the root zone. It takes time for these relationships to build between the fungi and the root zones (4-6 weeks), so add your inoculant as early in the plant’s life cycle as possible. A little goes a long way when applying, so be sure to evenly distribute the mycorrhizae across the entire root zone, or anticipate where the roots will reach in your container and sprinkle a little bit in anticipation. This way, the roots will eventually reach the inoculate as they grow in. Although organic super soils have been touted to be a one-stop shop for nutrient supplementation, amending in this fashion will help provide the best possible resources for your soil food web. 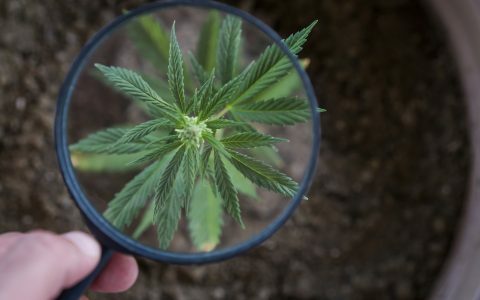 It’s amazing to think that with the use of all-natural methods such as these, you can provide your cannabis with everything it needs to thrive.